If you’ve been browsing treadmills for a while, they can all start to look the same. But when it comes to CardioTech’s BreakFree – it’s in a league of its own. higher, and the belt is thicker. BreakFree provides the ultimate home treadmill experience, and best of all – you don’t have to outlay the total cost before you can start using it! 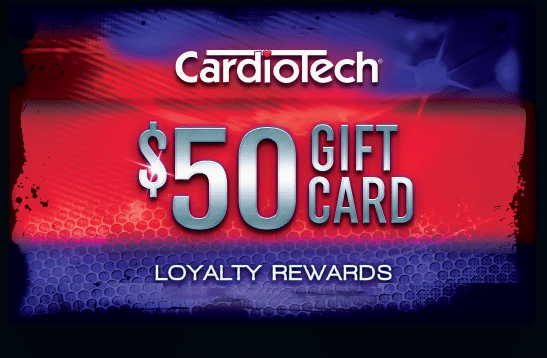 At CardioTech, we offer our customers with the option of “Hire to Own” which is an interest-free payment plan through Certegy Ezi Pay. This means you can make the most of using the equipment over time with small fortnightly payments and rest easy knowing you’re paying no interest ever. parts and electronics and one year on labour. So if you’re looking for quality treadmill for your home for a great price, contact us about the BreakFree today.